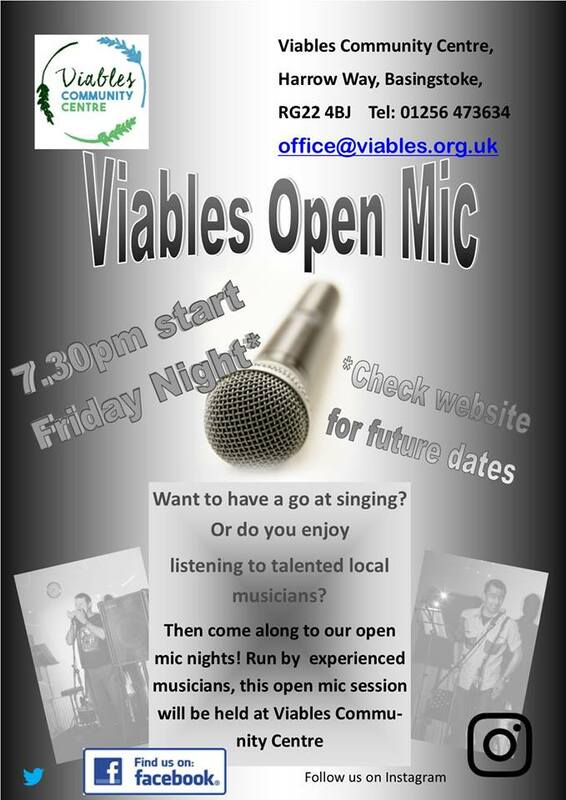 Running since 2015, we have been holding Regular Open Mic Nights on a Friday evening in the main hall at Viables. These are held on the second Friday of each month and are open to all. Whether you are a seasoned professional or an up and coming beginner, come and have a go! We have hosted musicians, singers, poets and comedians, though it is generally music based. Entry is just £1 per person and the bar is open throughout the evening. Starting at 19.30 the evening tends to run until 23.00. If you are interested in this or any other activity we run, please get in touch at office@viables,org.uk or call us on 01256 473634. If you are looking to volunteer or are interested in gaining experience in this field, we are always on the lookout for additional support. Please contact us using the above details.